It’s not home but it is “Almost Home”, a place for children and teens to come when they cannot remain at their own homes safely. Large sibling groups (up to 6) are able to stay together here for a few days or many months if necessary. The foster parent(s) at the home coordinate with the children’s social workers to meet the needs of up to six children from ages birth to 18 years of age. The children are enrolled in school and their physical and emotional needs are constantly being assessed. While the child is in foster care, visits with family are generally allowed if this can be accomplished without risk. 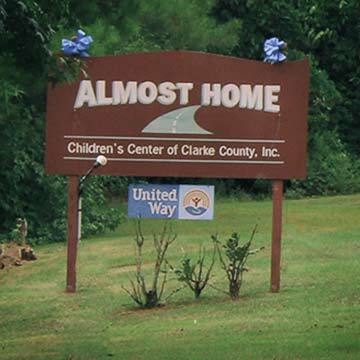 Although Almost Home is licensed as a foster home by Clarke County DHR, the home will accept referrals through any DHR in Alabama. Children are safe here, and they are cared for by loving and knowledgeable house parent(s). The children and teens are enrolled in local schools and participate in other enrichment activities to help make their stay here as close to a “home” as possible. When the kids are not at school, they can play with toys, computers, or enjoy our large backyard with a swing set or participate or other outdoor activities.